Your local Ambassadors are delighted to invite you for our first spring event at Daniele Winebar ! The weather is still a bit uncertain, therefore we decided for an "inside" cozy venue. Daniele Winebar seemed to us as a very nice idea to welcome InterNations Lucerne community. Daniele is excited to meet us. For people joining straight after work there is every evening a small buffet available for guests and food also available "à la carte". 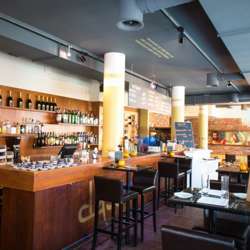 Daniele Winebar is just 5 minutes walking distance from the main station in Luzern.